The recent webinar “Getting Real Time Operational Improvement From Real Time Location Systems” sponsored by Sonitor drew a live attendance of 156 with several more HTM professionals viewing the presentation on-demand. Participation in the live presentation was eligible for 1 CE credit from the ACI. 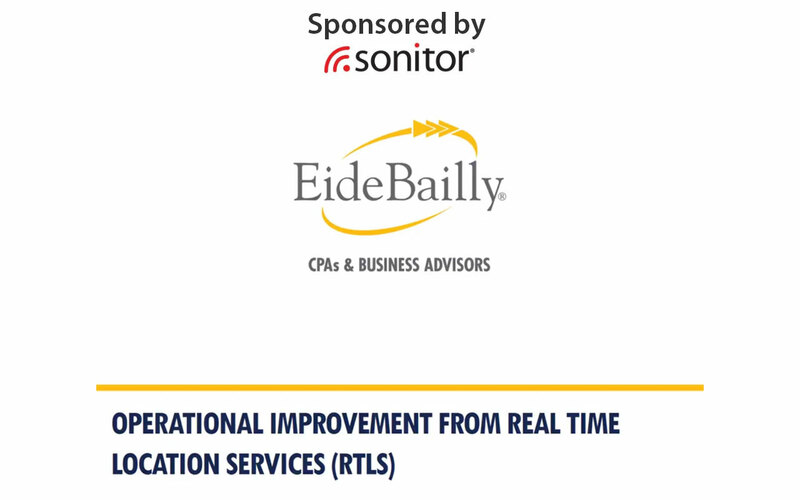 In the 60-minute webinar, Paul Schulz, Healthcare Consulting Manager at Eide Bailly, discussed the benefits of utilizing real time location systems (RTLS). RTLS have expanded from simple location information into workflow analysis helping to improve care processes. Becoming data driven is a call health systems are striving to achieve and RTLS are a tool many are seeking out. In his presentation, Schulz looked at how business intelligence features linked with RTLS are providing health care organizations information they did not have just a couple of years ago. The presentation was well received with an abundance of positive reviews collected via a post-webinar survey. “The webinar on RTLS was very up to date and useful. The uses of RTLS that were talked about in the webinar are possible process game changers,” said Clinical Engineer L.Velasquez. “Clear, concise information – that’s what Webinar Wednesday is all about,” shared L. Stephens, senior biomedical technician. “Good information on RTLS. I can see how having location data on devices, patients and staff would generate useful data for optimizing processes,” Biomed F. Rosen said. “Excellent and extremely relevant, lots of valuable data and facts presented clearly and concisely,” said T. Todro, consultant. “The Webinar Wednesday series has been providing me with important information concerning the why, how and what is being used as health care and health care technology management is constantly moving forward. I am receiving the information about the various products on the market now as compared to what was just beginning when I found this career path that I love and it continues to get better. Things aren’t always perfect, but that is what helps in the advancement of this technology,” Biomed A. Hale said. “The Webinar Wednesday series is very informative and useful. I always learn something new and thoroughly enjoy them,” Biomedical Engineering Manager G. Havens said. “Great series, good information and a great way to accumulate CEUs,” said M. Mortensen, CBET.